A Master Fer(mentor) "Uri" grew Brassica and Brine out of a love for natural produce and a fascination with the art of fermentation. At once nutritious, delishious (and kosher), Brassica and Brine is producing a variety of mouthwatering flavors such as fan favorite The Four Thieves - featured in February's Basket. organic farm in Connecticut in 2008. Then in 2010 I did a short stage with Alex Hozven at Cultured Pickle Shop in Berkeley, CA, where I saw a working model of fermentation as career and art form. That experience convinced me to start my own business. methods--no water added, no vinegar added, no lab-grown cultures added. Then we age each batch for 4-8 weeks which provides a unique depth of flavor. Brine product myself. I have helpers, but I'm involved every step of the way. I am the one who inspects the cabbage when it arrives from the farm. I am chopping the cabbage, kneading the salt and spices in, and tasting the finished batch to make sure it's ready. I even apply the labels by hand, myself. baking is my favorite small batch treat. Currently not for sale though. Farming actually drew me to food. My time participation in Adamah: The Jewish Farming Fellowship in 2008 laid the foundation for my passion for food. When you're growing your own heirloom veggies, milking your own goats, gathering your own eggs each morning, it leaves a huge impression regarding what food can look like. food crafters and food entrepreneurs in Los Angeles, especially by Instragram photos. Pascal Bauder is doing amazing work. The girls behind Red Bread, the creative minds behind Bestia and Sqirl. In my personal food journey, I'm inspired by authors like Tamar Adler, Sandor Katz, and Sally Fallon. I used to make seasonal specialties which would rotate depending which veggies were coming into season. I've developed a number of favorites out of those specialties which I hope to introduce as year round products, like Moroccan pickled lemons, sauerruben, and sauerkraut champignons (a sauerkraut spiced with three different mushrooms). From my own products, Kimchi Karma is my favorite. I love the heat and complexity of flavor. I also loved my seasonal fermented sour dill pickles. I only made them one summer a few years ago, but I still have people asking about them at the farmers market. Oven roasted pastured chicken thighs from Grown and Behold and organic kale and celery salad downed with my own basil and lime kombucha. Funny you ask. 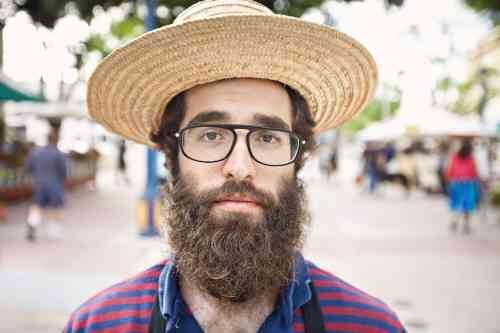 I would answer Sandor Katz, the person who inspired me most in my passion for fermentation. But he actually tasted my kraut on a recent Sunday at the San Diego Fermentation Festival and loved it. Checked that off my bucket list. sauerkraut this price? The sauerkraut at my supermarket is 1/3 of that." What some people don't realize is that this is some of the best sauerkraut being made in the United States right now, and that other sauerkraut brand is some of the worst. We're doing everything by hand with the very best quality ingredients. That all costs us more, but the end product is worth it. Don't be scared to be confident in your product, and your pricing. public. There are permits, bookkeeping, taxes, insurance, developing relationships. It's not just making and selling food. So make sure you hone some business skills before you dive in head first to pursue your passion. What is your favorite recipe to make with The Four Theives?